2-Way Dual 5-1/4" Floor standing Loudspeaker that features a High-contrast finish with scratch resistant high gloss panels for stunning good looks and Boston’s 1-inch Kortec soft dome tweeter for crystalline high frequencies. 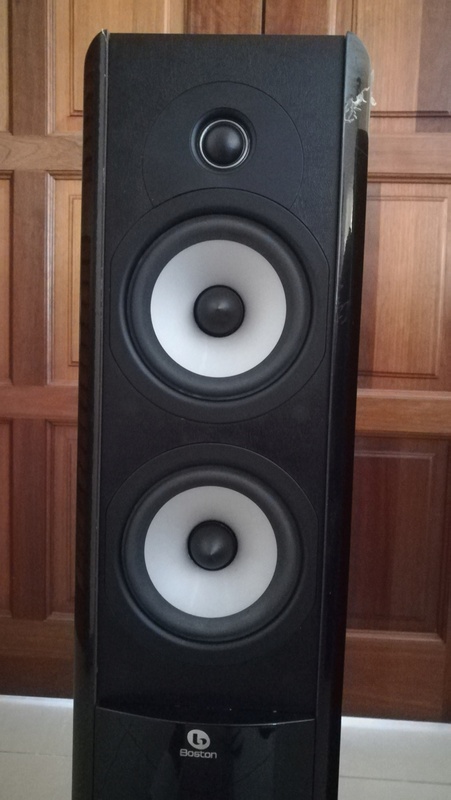 Boasting an innovative design for optimal sound, makes an ideal addition to home theatre or music systems. 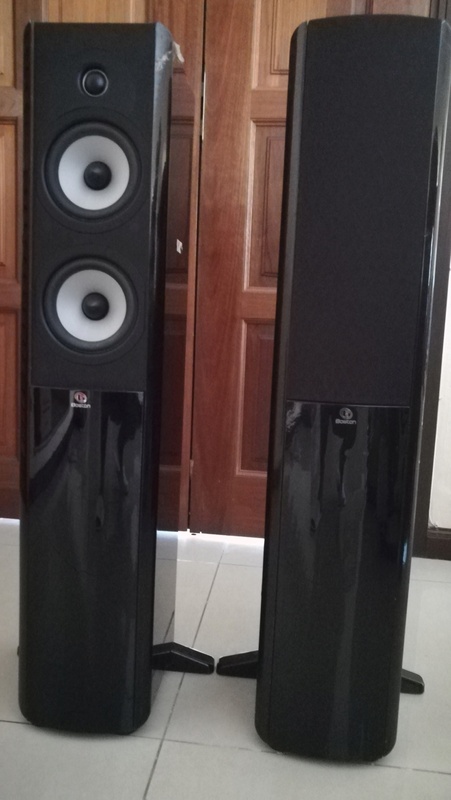 This impressively statured floor standing speaker features internal bracing and a reinforcement disc for enhanced sound quality. 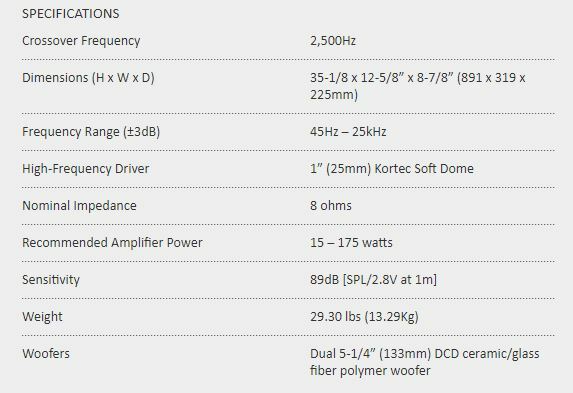 A Kortec soft dome tweeter offers crisp, high frequencies, while ceramic/glass fibre polymer woofers deliver more bass response from less amplifier power. 8/10 - Excellent condition. 1 or 2 very minor cosmetic blemishes. Side protective plastics film still intact.